Children experience tinnitus and might present ­similar suffering as observed in adults but they rarely mention the symptom unless directly asked about it. Difficulty on concentration, sleeping, hearing, leisure activities, sports practice, and hyperacusis are the most frequent complaints associated to tinnitus in children. Only a few population studies have been performed and have disclosed prevalence rates from 6% to 59%. Many factors might be implicated in the large inter-study variability of tinnitus prevalence in children. Age, gender, hearing loss, motion sickness, hyperacusis, and noise exposure have been suggested as risk factors to development of tinnitus in children. 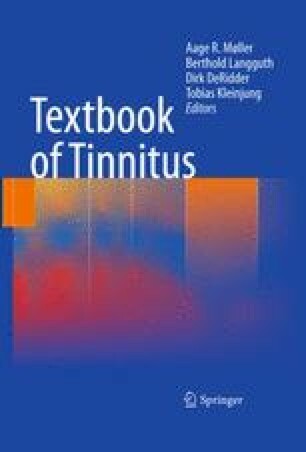 A proper model to investigate children should be developed for the purpose of obtaining accurate information about the prevalence of tinnitus in children. Preventive measures should aim at hearing education about the risk of hearing loss and tinnitus. Prevention of noise exposure should be promoted as early as possible.